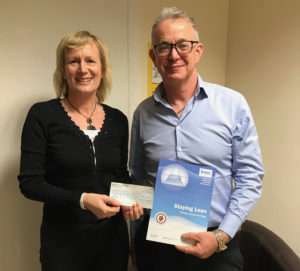 S A Partners support many charities, and we are proud to sponsor Cork Simon community, who are a fantastic organisation working in solidarity with men and women who are homeless in Cork, offering housing and support on their journey back to independent living. As well as financial sponsorship, John Quirke, our Irish MD and head of Life Science, has also offered pro bono services to the charity in order to help them improve the day to day running of the operations. John highlighted why he chose the charity, saying he chose them because of the essential services they provide to those who have found themselves homeless in the city of Cork. Outreach Team: The outreach team works on the street supporting people sleeping rough, surviving in squats or people who have no other option but to stay with friends. Soup Run: The soup run was Cork Simon’s first ever service back in 1971 and continues to operate every night of the year. Emergency Shelter: Our Emergency Shelter is located on Anderson’s Quay, in the heart of Cork city centre. The Shelter provides care, accommodation and one-to-one support for 47 people around-the-clock, every day of the year. Day Service: Their day service on Anderson’s Quay, is home to a specialist team of doctors, nurses and other health professionals who provide the most appropriate healthcare for people who are sleeping rough or staying in our Emergency Shelter. Youth Drug Prevention: Their youth homeless drug prevention programme works specifically with 18 to 26 year olds who are homeless or at risk of homelessness, and who are either at risk of drug use or are active drug users. Health Team: Cork’s Adult Homeless Multi-Disciplinary Team of doctors, nurses and other healthcare professionals works specifically with people sleeping rough or staying in emergency accommodation, many of whom experience poor mental and physical health. High Support Housing: Their five High-Support Houses throughout Cork provide intensive levels of round-the-clock care every day for 52 men and women whose health and other personal support needs are such that they are unable to live independently. Housing First: Their Housing Support Team works to a Housing-Led approach in tackling homelessness. It means supporting people to move out of homelessness as quickly as possible and into permanent housing with a tailored support package for as long as each person needs. Employment & Training: Their employment and training team supports people who have often left school early and are long-term unemployed to complete their formal education, retrain and return to the workforce. Job Placement: Cork Simon say that getting people back to work and back to participating in the wider community can make all the difference in helping to ensure people can leave homelessness behind them. Making Positive Changes: Their Activities Team – also known as their A-Team, works across all Cork Simon services, creating opportunities for people to build social support networks, build self-confidence, and interact positively with the wider community. If you’d like to find out more, or donate to this very worthwhile cause, you can visit the Cork Simon Donation page.